April 5, 2019 sarahchristinemusicLeave a Comment on Big Announcement! April 3, 2019 sarahchristinemusicLeave a Comment on This feels scary! March 15, 2019 March 15, 2019 sarahchristinemusicLeave a Comment on Exciting Show 4/19 in Seattle! Exciting Show 4/19 in Seattle! February 19, 2019 February 19, 2019 sarahchristinemusicLeave a Comment on Who does SHE think she is? October 31, 2018 October 31, 2018 sarahchristinemusicLeave a Comment on Time To Shine Tuesdays Episode #2 How I met Stevie Wonder!!! Time To Shine Tuesdays Episode #2 How I met Stevie Wonder!!! 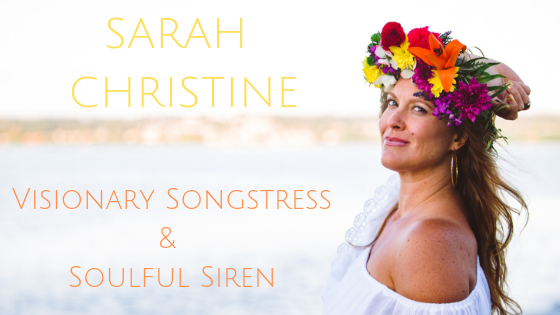 October 25, 2018 sarahchristinemusicLeave a Comment on Time to Shine Tuesdays! October 12, 2018 October 12, 2018 sarahchristinemusicLeave a Comment on My songs are going to be in Movie! My songs are going to be in Movie! March 27, 2018 sarahchristinemusicLeave a Comment on Hello Spring!